The 33X-5ZZ concrete boom pump is the ideal choice for residential and commercial construction job sites requiring less range and more mobility. This 33-meter concrete boom pump features a 360-degree, continuous swing, five-section, true-double Z boom that provides maximum versatility. The pump is designed to unfold and open in tight spaces and can unfold under a 19 foot ceiling height, making it perfect for working in and around existing structures as well as under bridge decks and other overhead obstructions. 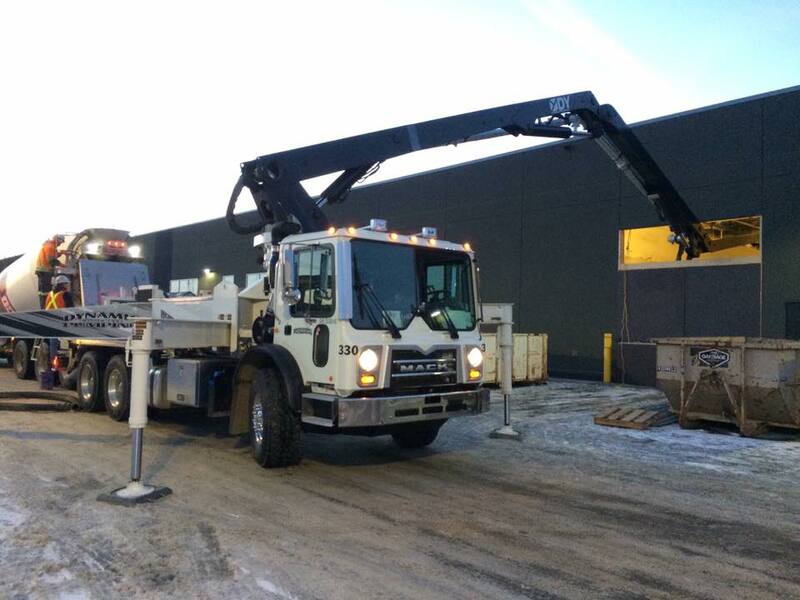 What Benefits Does the ZZ Concrete Boom Pump Provide? Designed with a low unfolding height of just 19-ft. The versatile 33X-5ZZ makes life easier for operators working in and around existing structures with overhead obstructions. The ability to move the boom via the remote-control unit enables faster, easier boom placement. Your drivers won’t have to constantly move the vehicle around the worksite and your workers won’t need to rake or wheel concrete several feet from the truck to the exact location. 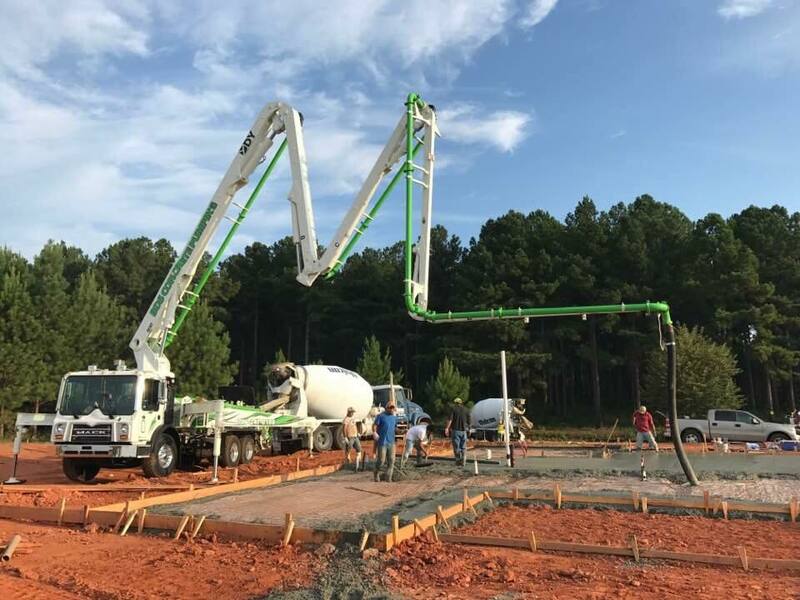 If you frequently pour concrete in residential housing subdivisions or neighborhoods that have high privacy walls, the boom’s maneuverability will allow you to reach narrow areas with ease, simplifying the pumping and pouring process. You won’t have to worry about your vehicles becoming stuck in mud or soft ground, either — you can park them on a harder surface and let the boom reach the work area. By enabling your vehicles to avoid traversing messy, muddy ground, you can keep the work areas cleaner and make a more favorable impression on residents. The 33X-5ZZ construction concrete boom pump features a maximum horizontal reach of 91’ 6”. 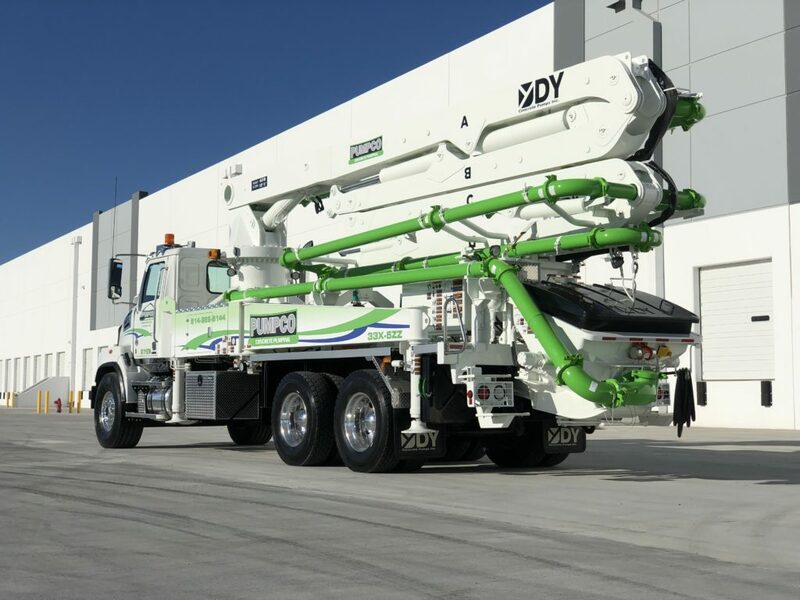 This truck-mounted five-section boom offers a reach capacity of 82’ 7” from the front of the vehicle. 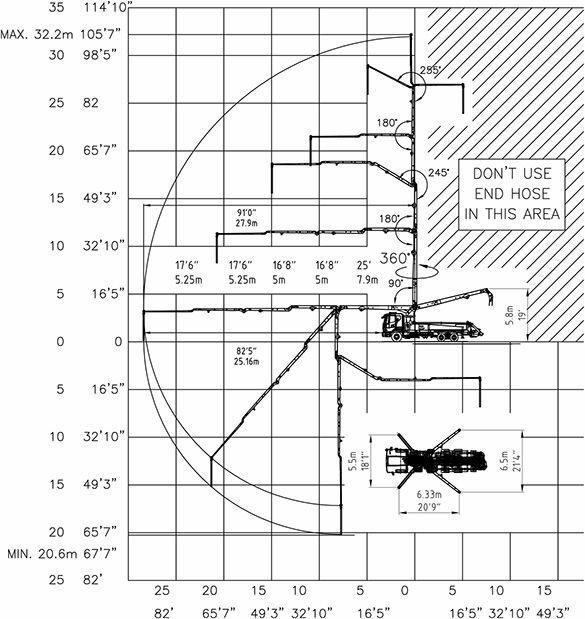 The boom’s reach depth is 67’ 7” while the total unfolding height required is only 19’. The operator-friendly HBC remote makes the Double Z concrete boom pump easy to use. Choose from multiple chassis options to fit the pump onto vehicles from leading manufacturers including Peterbilt, Mack, Western Star, Freightliner and Kenworth. 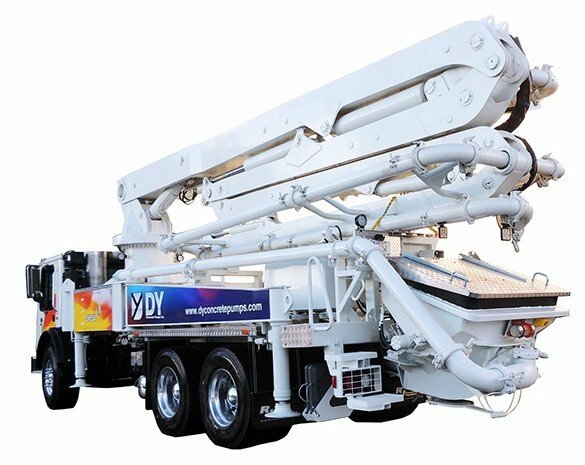 DY Concrete Pumps has been providing innovative solutions for construction industry applications for over three decades. During this time, we’ve developed a solid reputation for offering high-quality products at competitive prices. We’ve also established a strong presence in the North American marketplace with three strategically located facilities in Dallas, TX; Tampa, FL; and Calgary, AB. We’re able to provide prompt, reliable sales, service and technical support to companies all across the continent. We also carry an extensive inventory of replacement parts and offer same or next-day parts shipping. Contact us for more information about how our Double Z concrete boom pump can improve productivity and increase efficiency at your residential construction sites. Just fill out and submit the convenient online contact form and we’ll get back to you quickly with additional product and pricing information.